Want to know what Europe is doing to protect your privacy online? Have any questions about the role social media is playing in elections across the bloc? How about something on Greece's place in the European union, or the experience of a woman in politics? This week, Breakfast with Belle is heading to Athens, Greece to talk to Eva Kaili. She's part of the Panhellenic Socialist Movement and founded the Future Forum in Brussels- she's also chair of the Future of Science and Technology Panel of the European Parliament. We want any other questions you can think of, so we can put them to her this Friday. 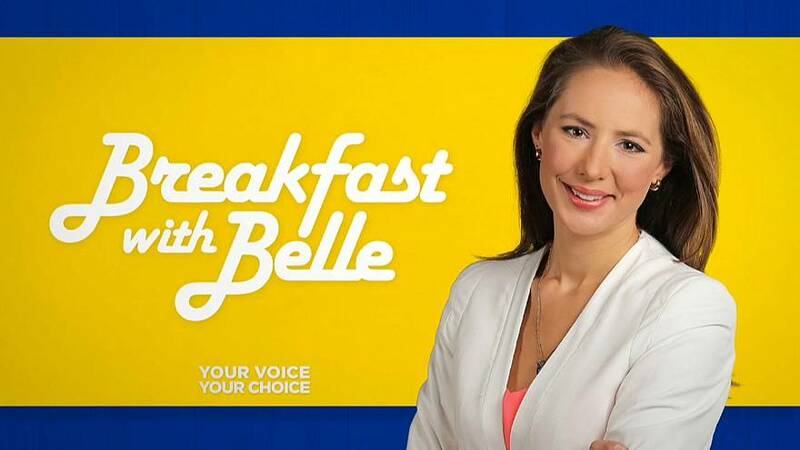 Comment below or tweet with the hashtag #BreakfastWithBelle and we'll bring your questions with us to Greece. Then tune into Good Morning Europe to see if she answered your question! Ahead of the European elections, Good Morning Europe host Belle Donati is travelling around the bloc to meet with MEPs running for election. We want to know what drives them, the issues they're campaigning on, and get their take on how Europe works- or how it can work better. From Brexit to the rise of populism, we'll be talking about the biggest issues at play in the next elections, all over an MEP's favourite breakfast.